We hope this Web site is a helpful introduction to our place of worship and fellowship. As a Parish Family we always strive to be welcoming and supportive to those who enter our doors. Barrie is a fast growing, diverse city which offers many places of worship and opportunities to nurture your spiritual life. 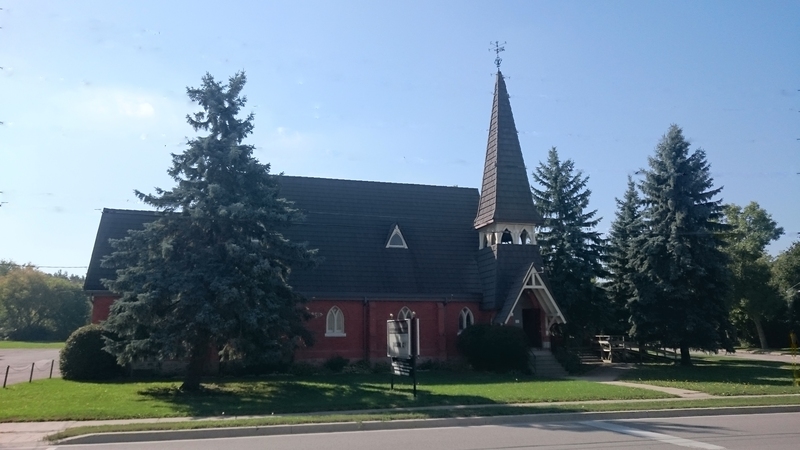 St. George’s is one of five Anglican churches situated with the greater Barrie area. We are deeply rooted in the traditional Anglican ethos and practice of Faith, Tradition and Reason. The Gospel of Jesus Christ draws us into fellowship and action: Faith without action is empty, while action without Faith fails to have depth and eternal significance. As our world constantly changes we strive to understand both the Gospel and how to apply that proclamation of Divine grace and love to our lives and thus to our world. What does it mean to have God in your life? How do you practice the presence of God in this world? How do I love my neighbour? How do I love myself? Where can I openly and honestly ask the difficult questions? Although every individual is responsible before God for their response to God’s offer of salvation, we do not have to walk this journey of faith alone. St. George’s might just be the family and spiritual home you have been searching for to rediscover, affirm or empower the presence of God in your life?